Real CRM (Customer Relationship Management) / Property Management Software is exclusively designed and used by noted real estate and construction companies in India. Interface Software Services is an IT solutions and services company that specializes in providing CRM, software development and web solutions & design to a wide range of real estate industries. 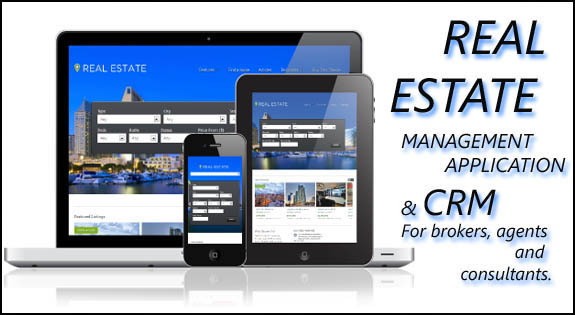 We are the provider of Real Estate Management software solution in Bhubaneswar Orissa India. At Interface Software Services we believe in partnering with our valuable clients over the long-term relation through our flexible business services and delivery solutions. We can be customized according to your organization’s requirement. It is a web based software and can be accessed from anywhere you have internet. Real CRM also can be design intranet based application as per client’s requirement. Real CRM is very easy to handle your property records, property management, flat management, Agent Management, Agent Commission management, customer payment track, pending payments, automatic customization of the bought property, bank documents (for customers who opt for home loan), automatic generation of registration documents. It helps streamline business operations and improve productivity & business efficiency. We understand your significant investment in real estate software solution to improve your organisations. Our after sales services will help you realize the expected return of investment. We are focused on helping our clients to lower the total cost of ownership of their software solution and extending the life of their investment. This is done by providing quality service and ensuring a first-time fix for any technical issue for your system. CRM Software Bhubaneswar, Customer Relationship Management Software Company Odisha , Real Esate CRM Website Design,Real Esate CRM Software Development,Real Esate CRM software bhubaneswar,Real Esate CRM Website Development Company,Real Esate CRM Software,Real Esate CRM Software Solution,Real Esate CRM Software odisha,Online Real Esate CRM Website India,Real Esate CRM Management Software Bhubaneswar,Real Esate CRM Software Development,Real Esate CRM Management Information Software ,Real Esate CRM System Odisha , Real Esate CRM Website Designing Company in Bhubaneswar Odisha India.